Masonry heaters output heat more efficiently and with less pollution than any other type of wood-burning fireplace, wood-stove, or pellet-stove. And they provide homeowners with the ability to enjoy a real wood fire without the energy loss and pollution of a typical fireplace. Masonry stove heats with outstanding efficiency and beauty. A masonry heater can provide primary heating for a moderately sized home if it is located centrally so that the radiant heat can reach rooms throughout the house. It is a good idea to have some auxiliary form of heating for times when no one is available to build a fire for a day or two. On the other hand, if you have a masonry heater, you may be the only house in your neighborhood that has heat during a power outage. But there are downsides: Masonry heaters are expensive and extremely heavy. Large units are often custom-built. They typically run upwards of $8000 and delivery and installation can cost $2000 or more. Their extreme weight of 6000 pounds or more usually requires that they be built on a concrete slab or foundation, similar to a masonry fireplace. 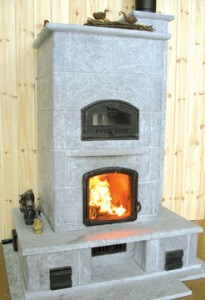 If these two drawbacks put these heaters out of your ballpark, you might want to look into a pellet stove, which is also an energy-efficient heater, or a soapstone wood stove, which has a look similar to masonry heaters but is not solid masonry and therefore less expensive and lighter weight. 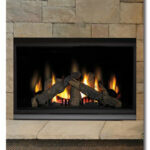 With a masonry heater, you build a small hot fire once or twice a day. Instead of allowing the heated smoke to go out the chimney, a masonry stove sends it through a circuitous labyrinth of passages where the heat is absorbed and stored by the masonry. The masonry mass slowly releases the heat into the house over a period of 12 to 20 hours. The smoke and combustion gasses that flow from the chimney are relatively cool because most of the heat has been extracted and utilized. 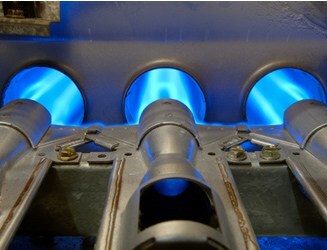 Masonry heaters commonly convert 90 percent of their fuel to usable heat. Because the heat is held and slowly released during the day, a masonry heater doesn’t require reloading with fuel as frequently as other wood-burning appliances. And, because the fire burns so intensely, it burns up most of the particulate matter, resulting in far less air pollution than typical wood-burners. 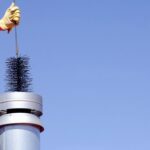 There is also less creosote buildup in the chimney than with other wood-burning appliances. 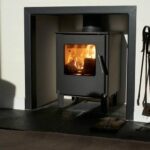 Masonry stoves are not really meant for warming a room for a couple of hours—they are designed for heating all day and night. They take longer to heat-up than regular wood stoves, and then emit the heat for many hours. Their surfaces are only warm to the touch, so they release a much more even, comfortable heat than a wood stove (however the glass windows get very hot). As a result, a masonry heater won’t drive you out of a room with heat the way a wood stove can. An additional plus is that a masonry heater can serve as a passive solar-gain heater if it’s placed where it can receive direct sunlight and release that radiant heat slowly back into the room.